Stormwater pours toxins into Puget Sound. Researchers use soil to clean it up. The solution? Channel stormwater through natural filters to reduce its toxicity. It’s an old-fashioned solution to a modern-day problem that threatens marine life anyplace where commercial or infrastructure development encroaches on that habitat. The runoff that pours into many waterways today is a toxic cocktail of fossil fuel, industrial pollutants and microscopic remnants of rubber tires and brake linings. It was not always this way. Vast tracts of agricultural acreage and natural soil buffers that once absorbed and filtered stormwater have been covered over with impermeable surfaces such as highways, parking lots and rooftops. The problem is so pervasive today that stormwater runoff has become the biggest source of pollution in Puget Sound. WSU researchers, working with NOAA Fisheries and the U.S. Fish and Wildlife Service, began their work by collecting runoff from a busy Seattle highway during a series of storms in 2011 and 2012. When juvenile salmon were exposed to the untreated runoff, all the fish died within hours. The runoff also killed aquatic insects such as mayflies and water flea larvae that make up the salmon diet. Next, the scientists set up experimental soil treatment columns at the WSU Puyallup research center. The 12 “bioretention” columns were 42 inches high and contained 60 percent sand, 15 percent compost, 15 percent shredded bark and 10 percent water treatment residuals, with half also planted with a common sedge. When the stormwater was channeled through these simple natural filters before reaching the salmon habitat, all the salmon survived, along with their insect prey. Chemical analyses showed the bioretention treatment reduced toxic metals by 30 percent to 99 percent, reduced polyaromatic hydrocarbons that are byproducts of fossil fuels to levels at or below detection and reduced organic matter by more than 40 percent. The scientists suggested that further research examine different soil mixes and the reliability of bioretention treatment over time. 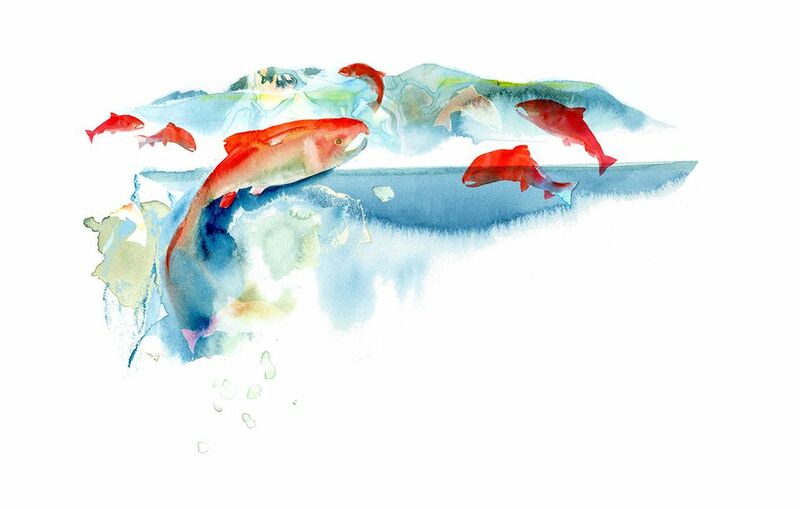 Additional studies could also examine whether soil filtration protects salmon from more subtle forms of toxicity, including effects on early development, the endocrine system and susceptibility to disease. 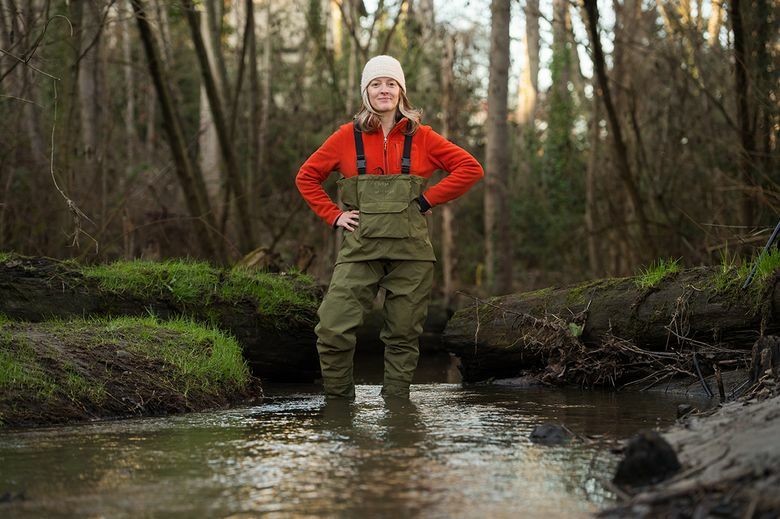 Their findings, published in the journal Chemosphere, are “an encouraging lesson for people working to reduce stormwater impacts to salmon habitats,” says Nat Scholz, manager of the Ecotoxicology Program at NOAA Fisheries’ Northwest Fisheries Science Center and a coauthor of the research. The bioretention study is part of a longer-term research effort to develop inexpensive and effective clean water technologies. The work was funded by the U.S. Environmental Projection Agency (Region 10), NOAA’s Coastal Storms Program and the Russell Foundation. McIntyre will share the team’s findings as part of the Innovators Lecture Series at 4 p.m. April 12 at Seattle Marriott Waterfront, 2100 Alaskan Way.